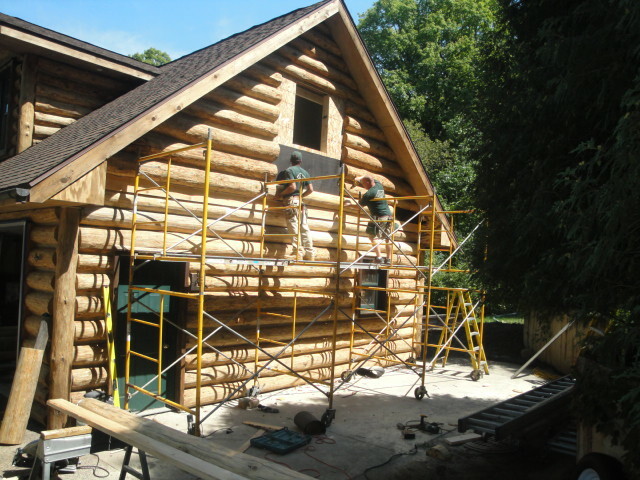 Pro WoodCares expert carpentry team specializes in the repair and/or replacement of rotten logs, corners, posts, railings, trusses, and more. 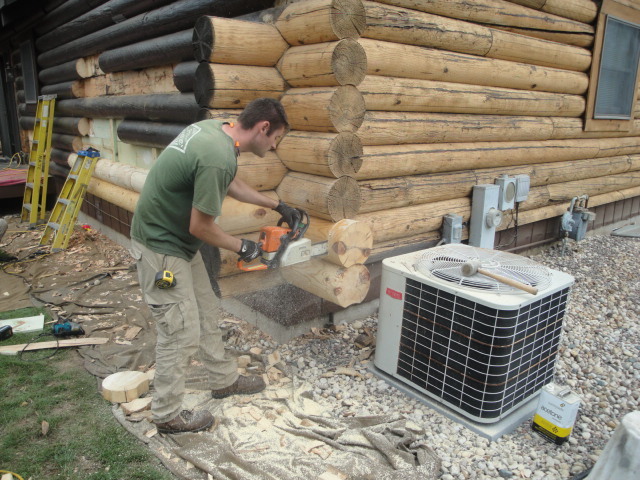 Our network of log suppliers and custom sawmills will match existing log profiles to insure a perfectly matching repair. In addition to repairing and/or replacing existing rot on your home, our team will go the extra mile to alleviate future problems in areas that are prone to rot damage. 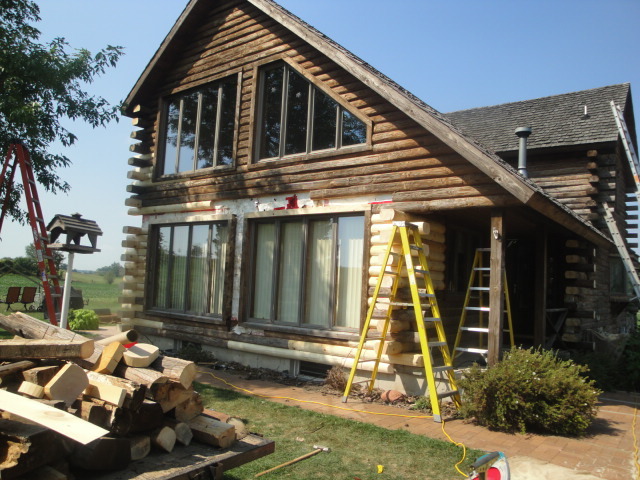 Pro WoodCare has provided repair services to thousands of log home owners throughout the Midwest and even further. The following is a brief list of the carpentry services we provide. For a closer look at some of the projects that we have completed please click here to be taken to the Carpentry gallery.